A large regional distribution centre was built in Zaandam on behalf of a major supermarket chain. The building is 24,000 m² and uses a fully automated distribution process for non-perishable products, which makes the supermarket chain the first of its kind in the Netherlands. In terms of sustainability, the distribution centre is also very advanced, which it why it was awarded with the BREEAM sustainability certificate of “Excellent”. The distribution centre received the rating of 73.77 % (4 stars) in the category of new building and renovation. One of the sustainability aspects applied to this new construction project consists of the 6,200 solar panels that were attached to the roof. 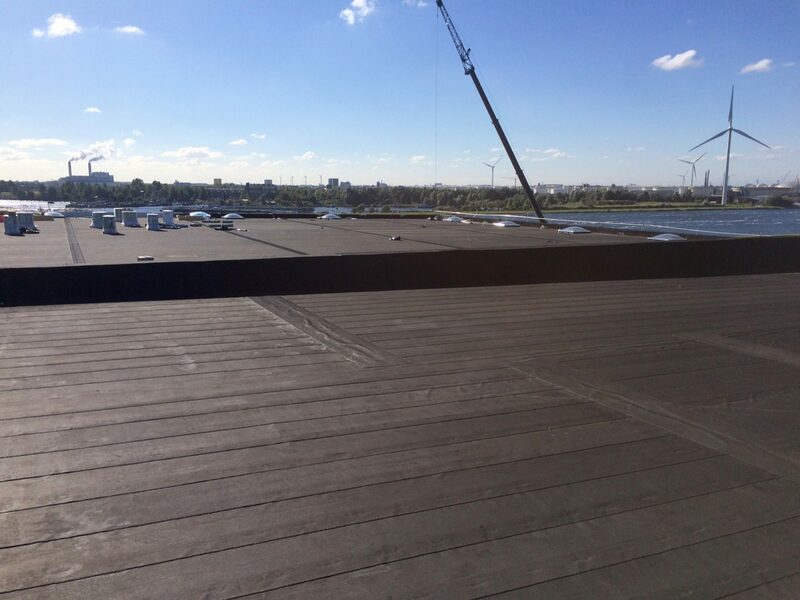 Another sustainability aspect is found right underneath the solar panels: the RESITRIX® EPDM roof waterproofing material. When using solar panels, the service life of the underlying roof waterproofing material is crucial. A decisive factor here is that the roof waterproofing material selected has a longer service life than the solar panels. 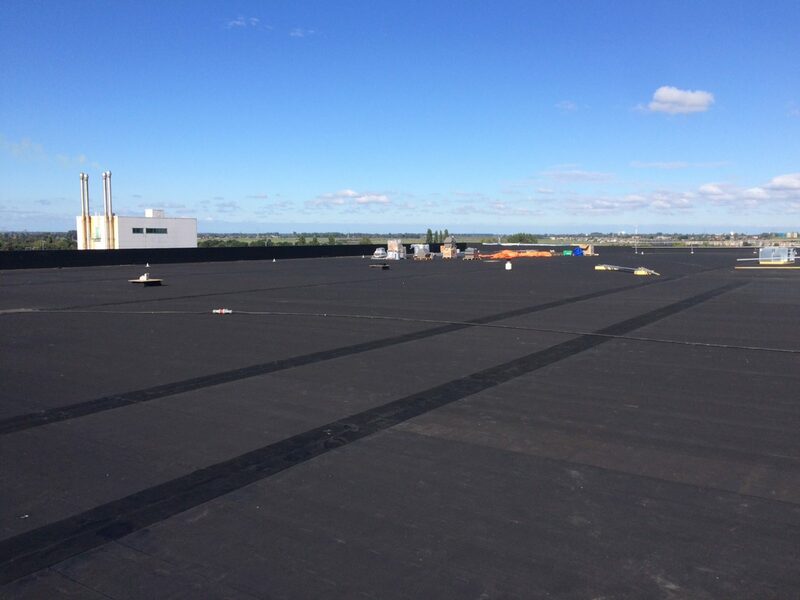 Due to the unique EPDM product properties, the RESITRIX® EPDM roof waterproofing material has a useful life of over 50 years (SKZ study). The roof of the distribution centre is a steel profile sheet metal roof that was installed on our ALUTRIX® vapour barrier membrane. ALUTRIX® is a self-adhesive, quick-to-install, vapour-proof and mechanically resistant vapour barrier membrane. It consists of a reinforced aluminium composite with a self-adhesive base and removable separating film. ALUTRIX® can be stepped on and walked on due to the higher-than-average tensile strength. 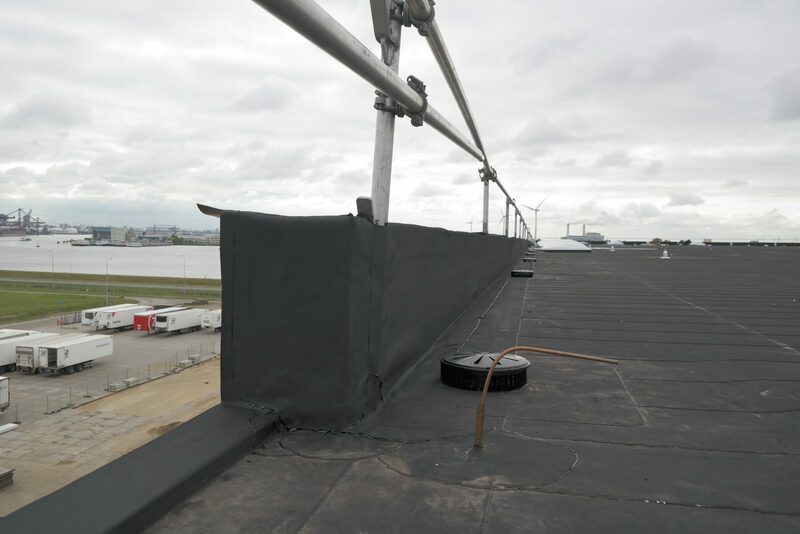 The EPDM roof membrane RESITRIX® MB was chosen as the waterproofing layer, which in an unprecedented material combination of the synthetic rubber EPDM and the high-quality, polymer-modified bitumen combines the advantages of both materials. It also meets the FM Standard Class No. 4470 (FM Approval). Clients who have many flat roofs in their offer are increasingly having to make decisions based on the total operating costs. The factors of sustainability and especially service life are crucial factors that are taken into account here. That is why the RESITRIX® EPDM system is frequently used, in particular for BREEAM certifications. The RESITRIX® EPDM roof waterproofing system is a guarantee that the requirements are met. This makes RESITRIX® a perfect application for the BREEAM certification. It is not least due to the service level offered by Carlisle® Construction Materials (strong project involvement before, during and after the construction phase) and the product services relating to service life that RESITRIX® EPDM roof waterproofing material is a high-end solution for sustainable buildings so that clients do not have to worry about their roofs for many years to come!